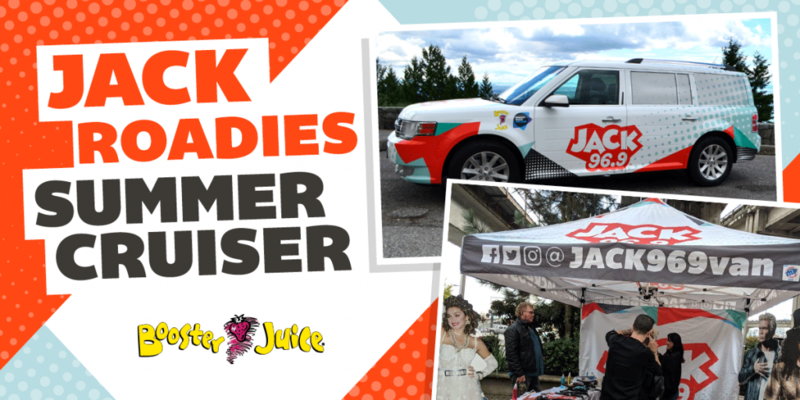 When JACK 96.9 takes your message to the streets, we roll in with our JACK Roadies summer cruiser! We visit all kinds events all over the Lower Mainland delivering contests, prizes, freezies, and most of all – we bring the fun! This year’s JACK cruiser is sponsored by Booster Juice. Stay tuned for our updates as to where we’ll be each weekend, and drop by for your chance at great prizes! JACK PACK: A Deep Fried Summer! JACK PACK: Diving Into Summer! JACK PACK: Throwing the Perfect Summer! JACK PACK: Building an Awesome Summer!